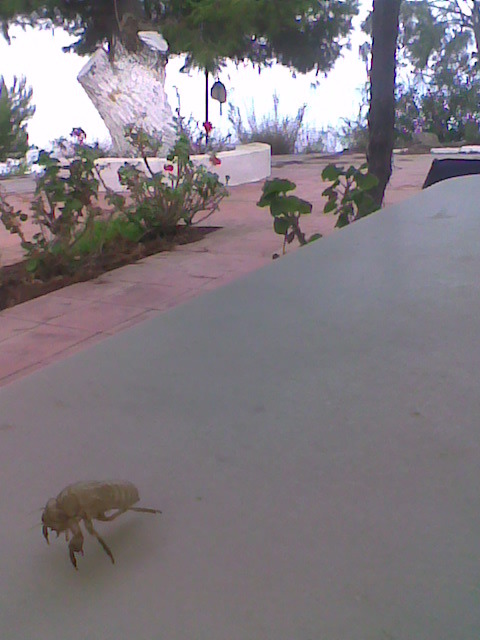 Where we once again find the indefatigable poet toiling at his thankless trade. Moderator’s comments: One more illustrative affirmation of Cinquor’s masterly command of Negative Capability or just another example of a jejune tendency to overstate the obvious? 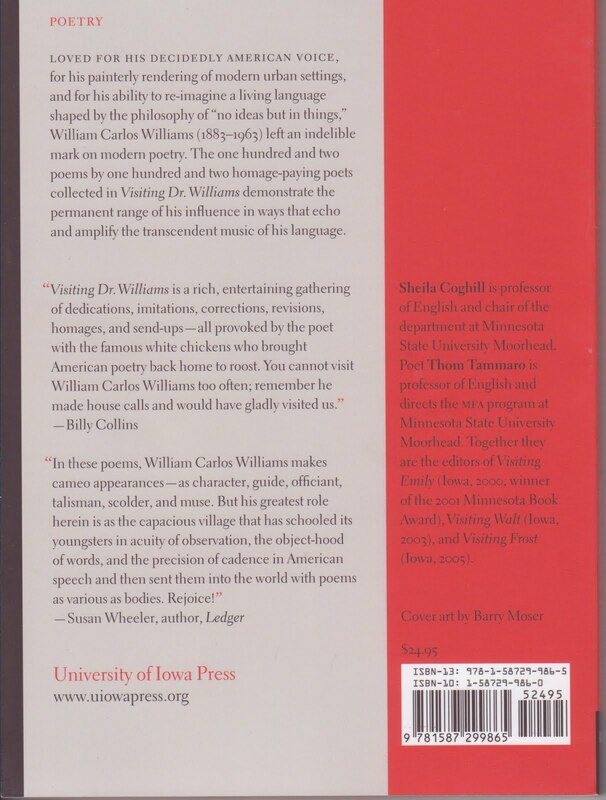 Recently received: My contributor’s copy of Visiting Dr. Williams: Poems Inspired by the Life and Work of William Carlos Williams, edited by Sheila Coghill & Thom Tammaro, with a foreward by Paul Mariani, University of Iowa Press, Iowa City, 228 pages, $24.95. 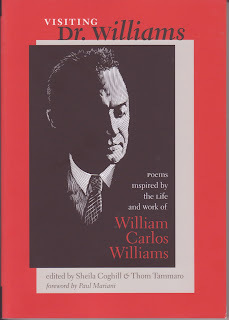 Trivia time: Out of the one hundred and two poems by the one hundred and two poets included in the anthology, Cid Corman and I share the distinction of having the shortest poem—7 lines each—though if one were to count words, yours truly would come in first with an impressive 27 as opposed to Cid’s 31. 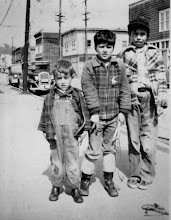 For those of you who may have missed it on account of its diminutiveness, a slightly different version of the poem first appeared on this blog here. "Bookmark, Selected Poems, William Carlos Williams"
My thanks to the editors for including my little poem in such a large gathering of poets honoring the good doctor's life and work. 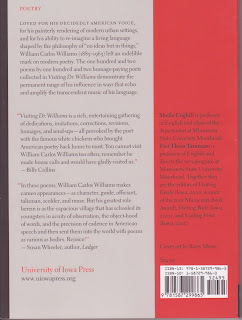 UPDATE (May 21): This series of books paying homage to American poets also includes volumes on Whitman, Dickenson, Frost and Stevens, the latter co-edited by the new Poet Laureate of West Hartford, Connecticut, James Finnegan aka J for James.